IHG® Rewards Club - eBooks - S.A.I.N.T. Is it possible to be a saint in this life? The answer is yes! S.A.I.N.T., a new practice, describes in specific detail how to reshape your perceptions and behavior to do just that. This is not about becoming a saint proclaimed by church authorities. This is a lifestyle, a way of functioning in this world. There are five specific steps required. Each step is illustrated and explained, so that you c… an fully experience God working in your life, just as historical saints did. Sainthood does require commitment to heavenly standards. Explore how you can see the world you live in through the eyes of a saint. S.A.I.N.T. opens you to the possibility of miracles happening every day. 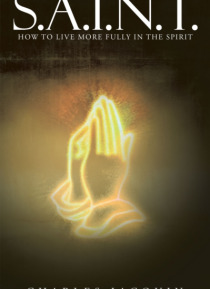 By applying the principles outlined in this book, you can open the window to the divine. Find your inner peace. Fear, rejection, or lack of personal self-esteem can no longer hold you back from being who you really are. S.A.I.N.T. invites you to recognize the saint that you are. If you are tired of the same old drumbeat of lifes ups and downs, read how to live more fully in the spirit. The method is here! Its time to shine your light to the world.